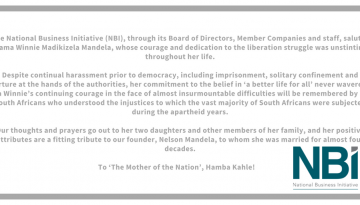 NBI’s Tribute to Winnie Madikizela Mandela: 26 September 1936 to 2 April 2018. The National Business Initiative (NBI) hosted a thought leadership and dialogue session under the theme, ‘Accelerating Youth Transitions into the Labour Market’ at the end of August 2016. 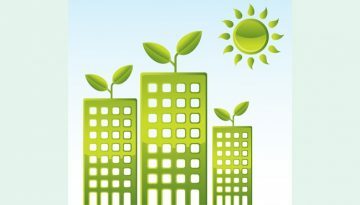 South Africa’s electricity supply issues are well documented. Sometimes there simply isn’t enough electricity to go around, leading to regular scheduled power cuts (known as “load-shedding”). An ageing and unreliable electricity supply infrastructure, which requires increasing amounts of maintenance and money to keep it running, is struggling to keep up with demand. Benjamin Curnier, Cape Business News, 10 August 2016. Bernard Mmotla, a civil engineering student, struggled to get in-service training after graduating from Ekurhuleni West College last year. Finally, he got an apprenticeship at a construction site run by construction company Aveng in May. “What I like is I’m gaining the experience I need,” he says. In the past few months, Mmotla has learnt carpentry and figured out the sort of tricks you only learn on site — such as safety around scaffolding. Even though his contract stipulates that he isn’t meant to work at night, he is doing so when asked by colleagues so as to “make a good impression”. Fingers crossed, he says, this training should make an impact on his future. Aveng is one of four construction companies, including Basil Read, Aveng Grinaker-LTA and Murray & Roberts, which have ploughed R2m into a National Business Initiative plan to train college graduates. Harambee, an organisation which links employers to young work-seekers, has also put in R1.2m to cover the stipend for 28 engineering students. There are many like Mmotla whose prospects have brightened considerably, as SA seems intent on reversing the trend over recent decades which has seen the fraying of technical skills across the country. To a large extent, this is due to the collapse of “apprenticeship programmes”. In the mid-1980s, about 13,000 artisans passed the trade test every single year. But the economic slump of that decade, and then the privatisation of state-owned companies, saw this number dwindle to just 3,000 a year by the mid-1990s. To remedy this, Setas (sector education & training authorities) were introduced in 1999, but they fell far short of the mark, as their brief was to focus on shorter training stints across all corners of the economy, rather than simply in technical areas. There are many stories about the consequences. To complete the Medupi power station, for example, SA had to “import” 1,000 artisans from Thailand. And BMW SA recently complained it was short of 1,000 motor mechanics. Higher education minister Blade Nzimande has been criticised for not prioritising the “apprenticeship training” needed to turn this around. Now, it seems, he is acting. Earlier this month, he announced that a new “dual system” — a combination of classroom and workplace learning — is expected to be put in place at training centres within the next two years. Part of Nzimande’s solution is exactly the sort of public-private partnership that Mmotla is now benefiting from, as companies partner with technical vocational education & training colleges. During the pilot phase, 45 welding and vehicle body-making artisans were trained, according to Ken Duncan, CEO of the Swiss SA Co-operation Initiative, a skills development partnership. It went so well that at least eight companies and four colleges are signed on for the next phase, which will be focused on training 200 electricians and plumbers. The companies get a grant of R150,000 per apprentice from the National Skills Fund or the relevant Seta. Then they get a ready-made, trained employee. Duncan says participating employers have mainly been positive, though there were some gripes about administration. Bus manufacturer BusMark took on 24 students from WestCol college in Randfontein in January. They will complete their training this year. BusMark GM Hans Collins says these trainees are badly needed, given that the youngest qualified bodybuilding artisan at his company is 57 years old. The feedback is equally positive from shipping repair company Dormac, which took on 21 students from West Coast College to train as welders in January 2014. HR manager Carina Niemandt says she is “very impressed” with the system. 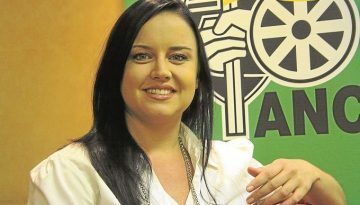 This new programme is not the only apprenticeship programme in SA. The Human Resource Development Council, which falls under the oversight of deputy president Cyril Ramaphosa, runs an “Adopt a College” programme. Already, 44 of the 50 colleges have industry partnerships. Companies that have got involved include Sasol, which has adopted two colleges and is helping train 27 unemployed Sasolburg matriculants in chemical operations, welding and other artisan-related fields. Government has also finally moved to address another weakness in the skills debate: SA’s schools. Next year, government is to test a “three-stream model”, which will give children the choice of an academic, technical vocational or technical occupational path. It is based on the German system. 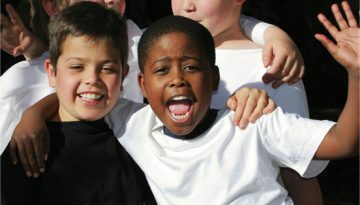 The pilot will include 58 schools across the country. If it works, government hopes to have 5,000 schools using the three-stream model by 2030. Basic education department spokesman Troy Martens says the pilot will mostly run in the Western Cape, where a rudimentary version is already operating in some schools. To some critics, it may seem too little, too late. But at least government is finally moving in the right direction. 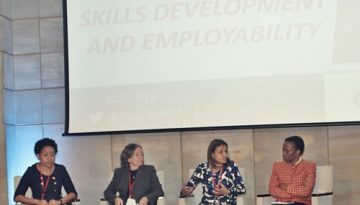 MAKANO MOROJELE – NBI: HEAD OF SKILLS DEVELOPMENT recently spoke at the Trialogue CSI Conference 2016, on a panel around skills development and employability. Click here to view what she said. 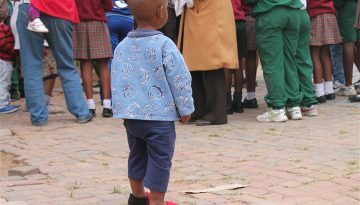 Nedbank, in partnership with the National Business Initiative (NBI) and The Corporate Responsibility to Eliminate the Sale of Children (CRES) have forged ties to put an end the exploitation of children in South Africa. Read here. 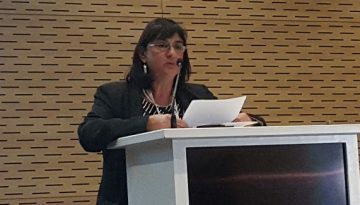 Joanne Yawitch, NBI CEO recently spoke at the Sustainable Brands Conference’ 16 in Cape Town – please click here to read the following news article which was published in BizCommunity: Collaboration needed within the one economy – Joanne Yawitch.